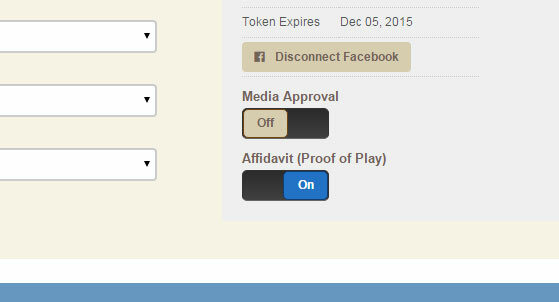 Starting November 1st we will require users to opt-in in order to continue receiving affidavit or 'proof of play' reports from their players. This involves simply toggling a switch in your account settings. We have made this change to prevent unnecessary consumption of network bandwidth in cases where proof of play is not a requirement. Any affidavits prior to the Nov. 1st deadline will not be affected. Sorry for any inconvenience and thanks for using RevelDigital!